It’s a level of personal, persuasive and targeted communications that not only earns results, but allows for more accurate data analysis for future marketing efforts. After serving high-level clients for over 90 years, our goal is to help you connect with successful marketing solutions to help you grow. During your marketing campaign strategic planning, for example, Advertisers Printing can assist on the front end with list acquisition and client profiling. During the campaign, we can assist with lead scoring and triggers to identify “hot prospects”. 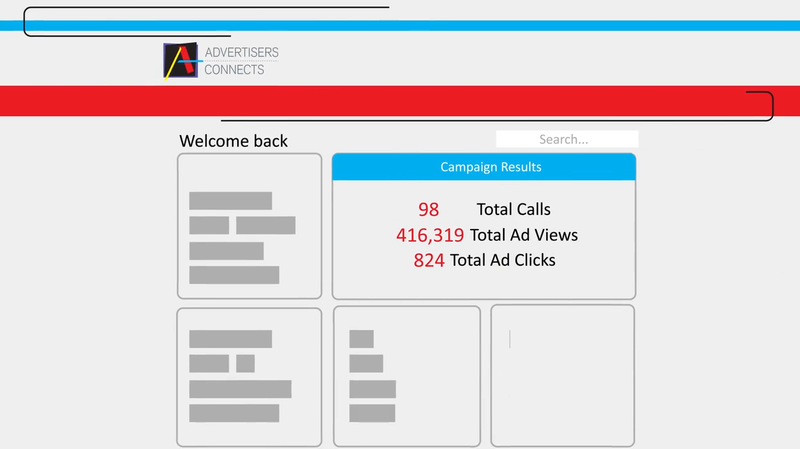 Post-campaign, we can follow up with backend tracking and overall campaign ROI. Even our equipment is geared to today’s marketing methods, with greater use of color and lower quantities. In addition, with our variable data resources, you can easily personalize your marketing message—making it even more impactful and relevant to your audience. It’s a level of personal, persuasive and targeted communications that not only earns results, but allows for more accurate data analysis for future marketing efforts. Direct mail is still one of the most effective marketing channels for generating new interest, brand awareness, and creating new business opportunity through pinpoint target marketing to specific demographics. For every $167 spent on direct mail in the US, marketers sell $2095 in goods. 40% of consumers have made a purchase in the last 3 months and 39% of customers say they try a business for the first time as a result of direct mail. Ensures that no leads are left behind with continued online exposure to the interested prospects who visited your website and left without taking action. Keep your business in front of your prospects everywhere they go! Our new Social Follow-Up feature ensures that you truly achieve maximum exposure to those people interested in your product or service. Our new service SocialMatch maximizes the use of your mailing list! We can now take your mailing list and MATCH each name with their Facebook or Instagram user accounts. How it Works: SocialMatch is a 14-day program that starts on your mailing date. Before, during, and after your mailing, targeted ads will be delivered to your mailing list and increase your visibility online. At Advertisers Printing, our Digital Storefronts provide a powerful tool to help you streamline and automate your print materials procurement, management and distribution. We utilize a suite of web-based technologies, production capabilities and fulfillment services to create a distinctive online storefront for your company, product or service. Designed for use by your own customers, dealers, distributors or employees, digital storefronts deliver 24/7 accessibility, 365 days a year. They can be customized for more effective brand control and consistency. Best of all, storefronts help lower your direct costs for creative, production and fulfillment services, as well as reduce indirect costs for procurement, inventory, management and distribution. Provides 24/7 access, with your digital storefront open year-round. Streamlines the entire order entry process. Lets you offer unlimited product selection and standard payment choices. Ensures consistency and control in branding and budget. Allows you to check online reporting, analytics and order status anytime. Can be customized for optimum control of brand message. Variable Data Printing from Advertisers Printing gives you a proven marketing tool for implementing customer-focused communications, individually tailoring your literature or other documents. And perhaps the most efficient and cost-effective method to reach the right customers at the right time—and with the right message—is through highly personalized, one-to-one marketing via variable data. Proven to enhance your marketing efforts and improve customer response. Enhances your flexibility—layout, text and images can be varied depending on customer needs. Allows for more accurate response tracking. Enables mass customization without mass production. The same message is sent to group of potential customers. Segmented versions are created to better target different audience groups. Each document includes individual customer’s name and address while your marketing message remains the same. On each document, content is custom-tailored to specific individuals for greater relevancy and impact.